John Biscello and I recently met up at the Taos Inn to talk about his first novel, our belief in muses, and our love of the writing process. John Biscello’s new book-Broken Land, A Brooklyn Tale was named Underground Book Review’s 2014 Book of the Year. They note that this “remarkably well-written novel is brimming with offbeat poetry.” The main character Salvo, a curious investigative writer, searches for his writer friend. Along the way he explores his friend’s and his own addictions to their muses, and the lengths they might go to connect with their muse. It is an urban tale, taking place in Brooklyn, John’s hometown. And it is funny. Our conversation for this story was funny too, as it settled into a familiar curious tension between writers, quoting famous authors and the like. Kelley: I read Broken Land over the weekend. There are some really great lines in it. John: You mean you didn’t just read the cliff notes? Kelley: Nope, the entire book. I like to be prepared. I read it on my Kindle. John: Before the Kindle edition, there was actually a print edition. There are no more print copies. I split with the original publisher, and I re-released it in Kindle. So the Kindle edition is really the second edition. The print edition was out a year ago. I actually don’thave a print copy of my book. I sold them all. I donated copies to the library and never really figured that I wouldn’t be able to get a copy. Now Amazon is selling them for $318 as if they are rare editions, which is funny. Kelley: So your book is a collector’s item, although you don’t have a copy. Weird enough. The novel received the Underground Book Review Book of the Year Award. Tell me about that. John: Underground Book Review specializes in reviewing and profiling small press and self-published novels. When I released the book on Kindle, I promoted it on different sites and asked people to do reviews. Underground Book Reviews enjoyed the book, and they profiled me. Then it became a “Top Pick” on their site, and then it was nominated for a book of the year. I was also asked to be on the panel of judges for next year’s choices. Kelley: So you have another book out too, right? John: Yes. Broken Land was my first book and novel. Then I published a collection of short stories, Freeze Tag, which came out a year later. It is a collection of stories about the neighborhood where I grew up in Brooklyn. I have another novel finished, Raking the Dust, that I’ve been sending out to mostly independent presses trying to get the book published. John: Because I’m old fashioned. Kelley: I was wondering if that was going to be the answer. John: I’m not a complete Luddite, but I’m trying to both morph into accepting and embracing the digital age. I use many different platforms, and I use the internet like crazy. But I really want to print. I want the tangible. While we are still printing books, and until that becomes anomalous, I still want that book in print. The industry is really changing and I don’t want to be left behind because I’m stubborn, so I can’t say I won’t self-publish, but I really like the tangibility of a print book. Kelley: The level of accessibility to publishing has certainly changed. We are inundated with the good, bad, and everything in between because everyone has access now. Ultimately, I think that’s beautiful. There is something about a print book that still holds a standard too. John: We don’t have to wait for a green light or permission now. It is the balance. We now have the convenience and accessibility of getting our work out there, and the flip side is that there is a lot of half-baked work out there. But big deal, that’s just the way the world is now. I am somewhat old-fashioned though. I love reading in front of people. I like doing performances, with people gathering for a reading live. I still get a kick out of that. Kelley: So back to the book: Your main characters in Broken Land are searching for their muse. Is that the kind of relationship with you have with your muse? John: I really believe in muses. I believe in phantom forces and energy, put any label you want on it. I want to go on record. My people in New York will think I’ve been living in Taos too long and say, “John is a flake.” But truly, I’ve always felt this way. One of my favorite quotes, from Stanislavsky, an acting coach from years back, is “inspiration is born of hard work, not the other way around.” So if I keep showing up, then I have the power. Leave my meager offerings at the doorstep, and if I’m lucky enough, he or she or it will meet me half way. I think that there is a relationship there that I don’t understand. One that is bigger than me. I believe that everyone views it in their own way for themselves. I feel like an idiot savant. Not even a savant, but I can’t think of a better word. I feel like I just have to show up and hope for the best. Not that it is as simple as that. A lot of work has to go into it, but there is something bigger going on too. Kelley: You do have to get into the other space, where you can find flow. I kind of visualize a muse more as amorphous energy, and I have to be open and ready to accept it. I think some people do see or feel their muse as a person, like your character. John: Even though I depicted Anna in that way, as a person, I thought about whether I was speaking about ghosts or untapped energy passing through us. To me that’s fascinating. I think I try to open myself as much as I can to be an open receptive channel where I am following and not leading. All that being said, I believe in re-writing and the hard work of writing. Kelley: What is the primary addiction for you in terms of writing? The process, the performance, the product? John: It is the process. To feel that deeply engaged with something, to be communing with something. What I love is how it all fits together. I have been through lots of relationships. Writing is one relationship that has endured. It has the honeymoon that wears off, but it continually comes back. I have learned as I’ve gotten older that there are dead or low-tide periods, but the relationship and my commitment to my writing relationship hasn’t bored. There is a sense of devotion to it. I love when I am involved in a project and there’s an end goal. It is great to start it off with a fragment or a riff, and then I turn it into a story. Broken Land happened this way. I love that. I am surprised by the process and where my writing goes. Sometimes I think I know the ending, and just the ending, but I don’t know how to get to the ending. There is such a delight and discovery in that. Of course, sometimes I hate it, and I berate myself. I can get intensely self-critical. Then the opposite too, dancing and singing around the house, mock-opera style. That’s really good. Kelley: Is there anything about Broken Land that you would change? How do you feel about it now? John: I can honestly say that I wouldn’t change anything. It is out in the world. If I were to change anything, it would manifest in a new work in a different form. I really tried to write a book that I wanted to write. I am thrilled with it. I wrote a book that I want to read. That’s all. I don’t mean that in an egocentric way. I had joy in writing it, and I’m glad that other people have enjoyed it. I love the characters still. I love to perform the characters, especially Hen. Being from Brooklyn I get to play on my accent a bit more. So it is really fun. Kelley: Whose advice do you follow? John: I grew up in a working-class Brooklyn family. I didn’t grow up around books, and I didn’t discover great books, except in school. But I didn’t like them in school because it was assigned reading. When I discovered Kerouac it blew my mind because I didn’t know writing could be so form-defying. Kerouac was like my first love. Seriously, I went to Tower Records in Greenwich Village, and I saw these Kerouac books. I started reading him, and I asked my friends if they had ever heard of him. Everyone was kind of laughing at me. I thought I had discovered him. That is the feeling I like in writing too, feeling like you’ve stumbled upon something that is totally our own discovery. Kelley: You did discover Kerouac. I think we all discover different writers, or music or other things at different points in our lives when we are ready to take themin. We discover it in our own minds. Then we get to re-share it with the world. It is beautiful. John: Thank you for corroborating that. 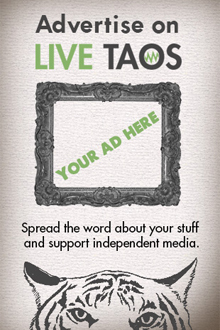 We’ll look forward to covering it on LiveTaos when it comes out! 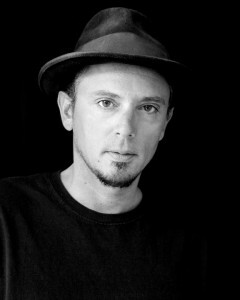 learn more about john biscello and broken land on facebook.